It took me forever to get around to editing, but finally here's the latest episode! 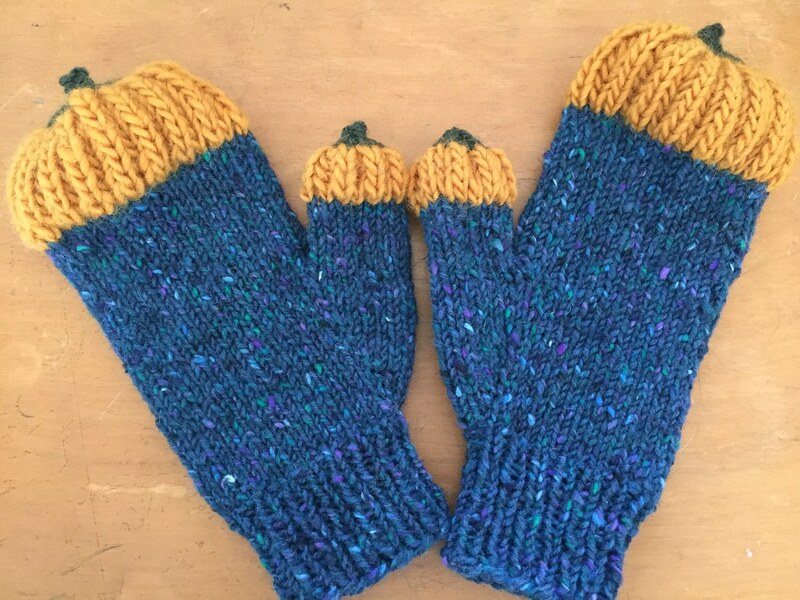 Jill made the Pumpkin Mittens by Lumi Karmitsa using Rowan Yorkshire Tweed Aran, Brown Sheep Lamb's Pride Worsted in Sunburst Gold and KP Wool of the Andes Evergreen. She kind of used the numbers from the No Swatch, No Gauge Bulky Mittens pattern by Jean Gifford. Jill is still working on the Summer Vibes shawl by Lesley Anne Robinson out of Queensland Uluru yarn. She is also still chugging along on the Kusha Kusha Scarf out of Habu Textiles yarns. 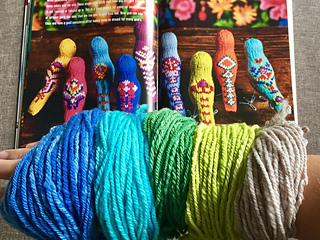 She attempted to make some Arne & Carlos birds out of her Goodie Supply Fiber handspun, but her yarn was too heavy. 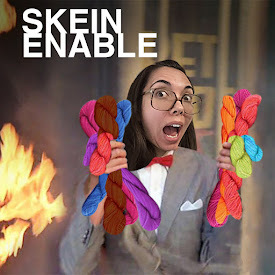 She'll probably use that yarn to make an Ombre by Chemknits. Jill is halfway through spinning a 4oz braid of BJS Fiber Creations fiber (50 Merino/ 25 Bamboo/ 25 Silk) dyed by Barbara J. Seeler. She also quilted her Mustang Quilt and just needs to do the binding! Jill is all into pullovers this time around. She might start the Still Light tunic by Veera Valimaki, maybe out of Imperial Stock Ranch Tracie Too. She likes the Tabular sweater by Maja Moller from the latest Pompom Quarterly Winter 2017 issue. She favorited the Felicitas (The Arrow Sweater) by Lisa Hannes. And she debates a new holiday sweater, the Julgran by Andi Satterlund. you have done such a splendid job. really spectacular,you have shared great piece of art, you are a talented person with wonderful creative skills, keep sharing more with this.